New Zealand secured one of the greatest victories of modern times by overturning a seventeen point deficit and emerging as victors in a game they never truly deserved to win. The greatest rivalry in rugby played out a match at Loftus Versfeld that will reverberate through the ages. South Africa were imperious throughout this fixture, and had the opposition been anyone else, they would have come away as victors. All Blacks or not, turning around a seventeen point deficit having been so utterly dominated throughout the game is some achievement. The performance from the men in green was incessant. They mercilessly pushed New Zealand in attack with their high tempo, and Faf de Klerk’s kicking was consummate throughout, pinning the men in black back in their own 22 regularly. In defence, they tackled hard and true, and they worked tirelessly to disrupt the ball at the breakdown. After 13 minutes, they were six points to nil up, with eighty-eight percent of the possession. Their intensity forced New Zealand into uncharacteristic errors and stifled their attempts to get any sort of foothold whatsoever in the game. They were winning all of the key battles; in the air; at the breakdown; in the contact area. They had the momentum. By half time, they had amassed seventy-one percent of possession, and seventy-eight percent territory. Perhaps the most telling statistic was their nineteen tackles to New Zealand’s sixty-eight. Despite this, they went in to the dressing rooms tied six points all. New Zealand certainly wouldn’t have been disappointed by the scoreline, especially given their propensity for scores shortly after half time, but they had never truly been in this game. Despite close scores by this stage in their previous fixtures of the competition, there was always a feeling of when as opposed to if. In this fixture, they had been totally outplayed; it was certainly if as opposed to when. As the second half got underway, there was feeling of inexorability heavily weighted in South Africa’s favour. They didn’t disappoint their fans. Three minutes into the half, an incisive run from Willie le Roux spilt open the defence, and the quick ball de Klerk was able to distribute forced New Zealand onto the back foot. As the ball moved wide, Jesse Kriel stepped back inside and having shrugged off two tackles touched down. Handré Pollard’s conversion gave South Africa a thirteen points to six lead. Two minutes later, and Kriel was the hero again, turning the ball over in the ruck when Rieko Ioane was isolated on the half way line. Up stepped Handré Pollard, and from 50 metres, South Africa extended their lead. The men in green continued their ferocity, and the high tempo and intensity of their attack was ripping the All Blacks apart. After Faf de Klerk had passed the ball to a camera man, New Zealand were unable to put their clearance into touch. After a handful of phases, the ball found its way to the hands of Siya Kolisi who wrestled away from his tackler before popping the ball to Damien de Allende on his shoulder who cantered through to the try line. Twenty-three points to six, and the match was beginning to feel over as a contest. And yet, it wasn’t. One can never shake the feeling that New Zealand are out of the game. There was some hope for them once they had kicked off. 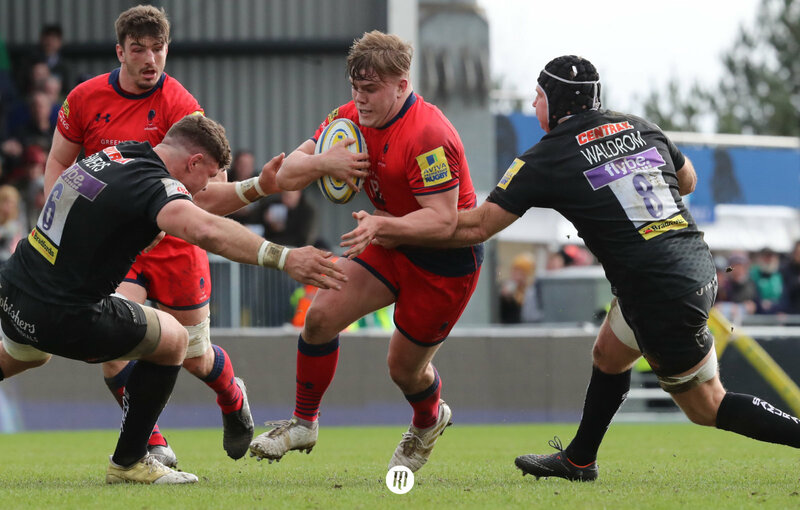 Faf de Klerk returned a high ball which was taken into contact. From the resulting ruck, Codie Taylor picked and ran down the blind side before passing (hard to argue it wasn’t forward) the ball to Aaron Smith who glided over the line for the score. The conversion brought the score to twenty-three points to thirteen, and with it, a remarkably muted crowd. There was a brume of nervousness, the shiver that the cold of winter permeates through your body, the belief that New Zealand could still do this. Even on the hour mark when Cheslin Kolbe somehow scrambled over in the corner to give South Africa their seventeen point lead, the shiver remained. Indeed again, it only took a few minutes for New Zealand to claw their way back into the game. South Africa knocked the ball on from the kick off, and New Zealand won a penalty from the resulting scrum. Having gone for the corner, they won the line out and slickly spread the ball through the hands of their backs for Rieko Ioane to canter to the corner. The momentous pace of the game continued unabated. Eben Etzebeth continued to thwart the New Zealand line out, but much like their win in Wellington, it was their defence that was put to the test through the last ten minutes of the game. 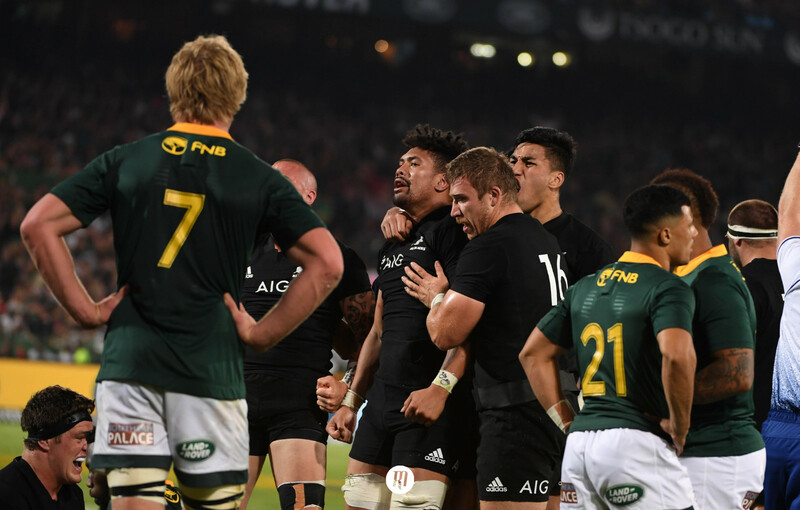 Sustained pressure from New Zealand was soaked up by some superhuman defence, but the feeling of inexorability that favoured South Africa as the half had started was now in the hands of the All Blacks. Scott Barrett dove through the mountainous terrain to make it a five point game with six minutes to go. The tension through the crowd was palpable. That shiver of winter had become a frost. South Africa kick off, but immediately concede a turnover penalty. Richie Mo’unga puts the ball deep into South African territory, but it looks rushed and wayward, bouncing before deciding its final destination. It crosses the touch line five metres out. The frost had permeated so deep that all emotion was subdued. Taylor lifted the ball into play and New Zealand pushed relentlessly for the line. Like the ocean crashing against cliffs, there was no way through, the strength of the nation seemed to be imbued in the men in green. It wasn’t enough though; Ardie Savea found a pass through the mountains, and crashed over for the try. The game tied at thirty points apiece was left with time only for Richie Mo’unga to kick at goal. As the ball intersected the posts, the crowd succumbed to the frost, their spirit extinguished. Quite how New Zealand managed to emerge from this fixture as victors despite having been against the odds for so long is testament to the magic of the All Blacks. 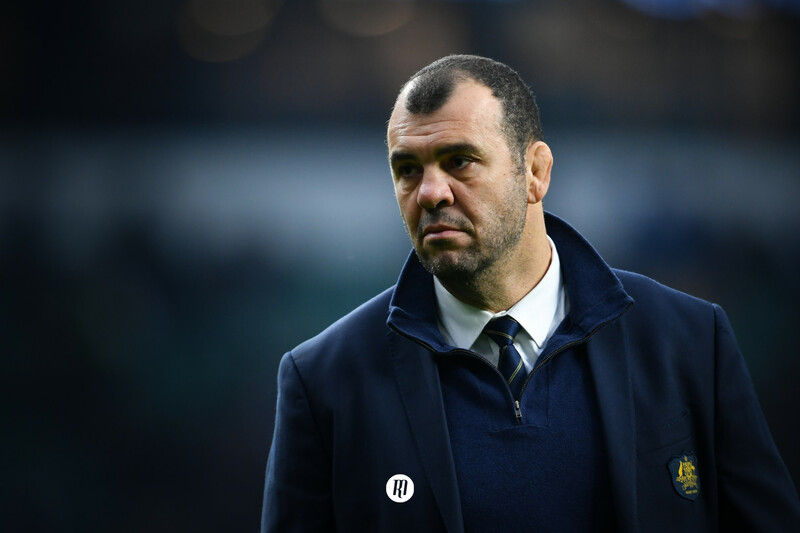 That belief, and the ability to defy the odds is why they are perennial contenders, and where the first test between these sides sent out a message of hope to the world, this fixture has seen the All Blacks emphatically quash that feeling.